While mobile payment systems like Apple Pay have failed to live up to the hype, in China it is a different story. As Chinese consumers (and a few expats) will tell you, they have already been using mobile wallets in China for three years — almost anything can be bought anywhere for that ‘upgraded lifestyle‘. One of the reasons smart technology is adopted quicker in China is its more adventurous Chinese consumers, who have no qualms using biometric data for purchases. Spot someone holding a phone in front of their face in a supermarket or restaurant? Maybe not another selfie, but someone using Alipay’s facial scanning function. Continuing the trend, Minsheng Bank recently launched the industry’s first iris recognition payments service. Customers use their phones to scan their eyes, and a second later, payment is authorized. A transaction password is still required, but the eye scan replaces the SMS verification for validating payment. “Every person’s iris is unique. This ‘body code’ is a lot more secure than using fingerprints or digital passwords”, said a net finance spokesperson at Minsheng Bank. 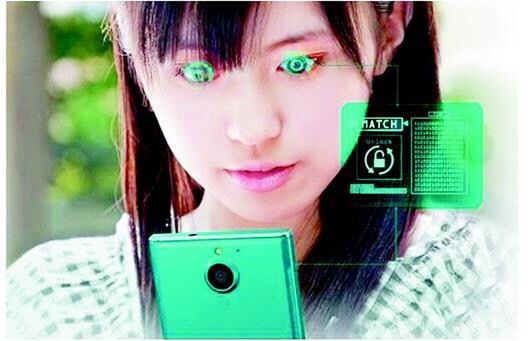 Iris scanning is more accurate, but for those users willing to try this new technology, just one problem, you might need to buy a new phone. A manager at Minsheng’s branch pointed out that for now the only phone able to support this service is a Samsung Galaxy Note 7, but they are hoping to incorporate more handsets in future. (Preferably ones that do not catch fire). No doubt China will continue to lead the way in mobile payments and smart technology as it is set to become the world’s largest retail market in 2016, with total retail sales reaching 4.9 trillion dollars. This is set to exceed 7 trillion dollars by 2020, by which time the global iris recognition market could be worth 3.6 billion dollars.